It is not easy to recollect each and every event that has touched my Bahai life since I accepted the Faith in 1962. Fifty five years have passed since then. However I wish to share, to the best of my memory, some incidents that are etched deep within my heart. One of the best things that have happened to me is winning a very wide range of Bahai friends, many of whom are no more with us. Even when I was young, I had a very inquiring mind and so I used to read widely on religions. During primary school days we had a text book entitled “Great Men of the East”, which contained stories of the prophets of the past. This book had a great impact on me and I came to respect all these prophets. From a young age, my parents took me to Hindu temples every Friday and on other auspicious days. I used to ask my father why we were praying to so many Gods, and yet he told me there was only one God. I was confused. While in secondary school, I kept reading the Bible and the Bagavad Gita. When I was in Form Three, I took scripture lessons on the New Testament for my Form Three Examinations. The New Testament was taught to us by the nuns from a nearby Convent. All these exposures convinced me that all the religions were good, but the question on why there were many religions with so many laws and practices remained unanswered. So I came to a firm decision not to follow any particular religion, but pray to the one God and follow my own conscience as my guide. I also kept wondering how come God did not send any Prophets these days. It was in 1962 when I was staying in the Hostel of the Government English School Segamat, Johor that I saw a new beginning. One day my roommate Ramalingam brought a person by the name of Krishnan Kandasamy to our room. Krishnan was called “Postman” Krishnan as he started his career as a postman in Seremban. But when he resigned as postman to teach the Faith full time, he was assigned as a travel teacher for Segamat area. He was also the first full time local Asli teacher. Krishnan told me about the Bahai Faith and was able to answer all the questions I raised. I was very attracted to the teachings on progressive revelation. By that time he had brought into the Bahai Faith several governments servants, mainly bachelors staying in a rented bungalow in Jalan Buloh Kasap. They loved Krishnan so much that they gave him free board and lodging. One day Krishnan told me that a group of Bahais from Malacca would be coming during the weekend to hold a meeting, and he invited me to attend. On that Saturday night Ramalingam and I went to this meeting where about 15 persons were present. I was introduced to a gentleman by the name of Mr. Leong Tat Chee. He seemed very kindly and gentle. He told us very reverently about the Bahai Faith. 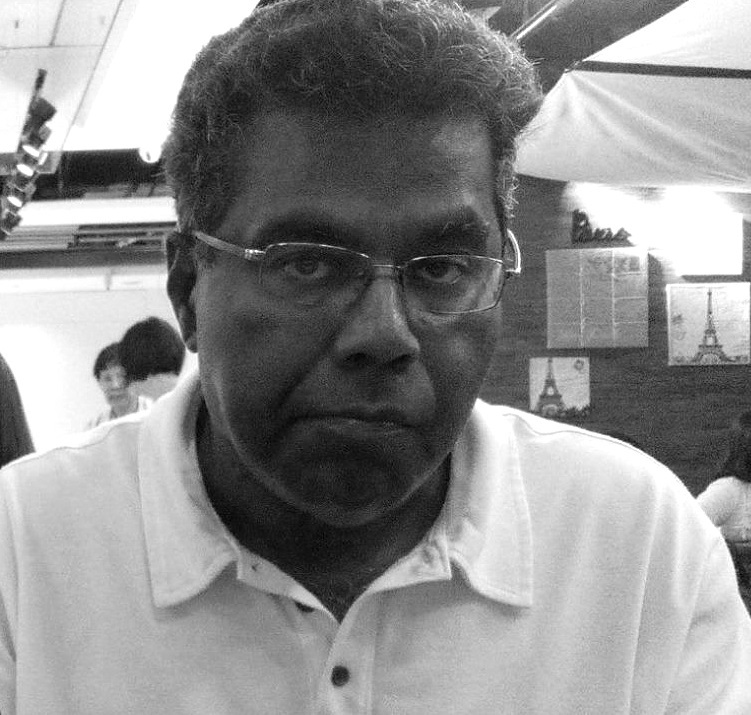 My friend Ramalingam asked some sarcastic questions, which upset Mr. Leong. But Mr. Leong kept answering him with much patience. After the end of the meeting, Ramalingam went back, but I stayed on very attracted to Mr. Leong. Mr. Leong was visibly upset with the fiery onslaught by Ramalingam. He commented that Ramalingam must be having a devil within him to ask such questions. We all laughed. But Mr. Leong also said that we should all pray for him. In 1979 I met this same Ramalingam in Johor as one who had become a Bahai. Later I learned that he forgot the Faith and joined politics. At the end politics too forgot him. One day our form teacher came to our class and told us that we will be dismissed early because someone was going to give a talk on the Bahai Faith. When the students asked him what was “Bahai’, he replied it was something about “insurance” and left the class. I had a good laugh because I knew that the teacher who was a Christian obviously did not know to what meeting he was going to. It was Krishnan who had earlier met the headmaster and arranged the meeting for all the teachers in the school. Krishnan was on fire teaching the Faith in Segamat area. He even spoke to the town magistrate who was a follower of the Ahmadiyah sect. One fine Sunday morning Krishnan and Mr. Leong suddenly came and met me in the hostel and took me out for a drink. At a coffee shop in town Mr. Leong told me of the great bounty of becoming a Bahai in this day. I liked the Faith but told them that I would ask my parents for permission before becoming a Bahai. When I went back to hometown in Gemas, I told my mother about the new Faith and that I wanted to join it. She told me that if I felt that it was good, I could always join. Coming from an orthodox Sri Lankan Tamil family I had expected some kind of strong opposition, but she was so open to religions. She has passed away. I am aware that she must be under the care of the Blessed Beauty for allowing me to become a Bahai and serve the Cause. With her blessings, I came to Segamat and declared in the presence of Mr. Leong and Krishnan. That was in May 1962. Looking back I had accepted the Faith in the Ten Year Crusade period. I was 16 years old then. After accepting the Faith I spoke about the Faith to my immediate friends and a few accepted. We used to teach to most of the students and even the teachers, who obviously looked on it as a passing fad. Some students tried to make fun of the Faith. Since we were seniors in school, we were tough guys in school. So no student dared ridicule the Faith. One day Krishnan informed me that a “Great Bahai” by the name of Yankee Leong would be visiting Segamat, and would be staying at a certain hotel. That night I invited my 12 friends to meet Mr. Yankee Leong. They said that they wanted to go to a Chinese festival and instead asked me to join them. I told them that meeting Yankee was important and left them. So I went to the hotel and met Krishnan and Yankee Leong. To my surprise all my 12 friends suddenly appeared, saying they had changed their minds and wanted to meet Mr. Yankee Leong. Yankee Leong spoke about the Faith. After hearing the talk by Yankee Leong, they all accepted the Faith. It was the first time I had met Yankee Leong. His greatness was his simplicity, and down to earth demeanor. He simply won me over with his sincerity. Everyone was at ease in his presence. I kept in touch with him until his last days, and even had taken videos of him. Now I had become part of the small Segamat community and all my activities centered on the Faith. Every weekend, Mr. Muthusamy, one of the early Bahais, his group of Bahais and Krishnan would get into Muthusamy’s car for teaching trips. I too joined them. That car had faulty brakes, and we traveled daringly down to Gemas which was 20 miles from Segamat. Surprisingly, in all our teaching trips, the car performed well. We taught in the town areas, surrounding estates, and even right up to Malacca. We would get a lot of declarations, especially in the estates. But as usual it was always overtaxing to be in the field seven days a week. Yet the tremendous response compensated for all the pain we undertook. The excited Krishnan arranged for us to come for Feasts, deepening classes and a lot of activities at the home of Leong Tat Chee’s daughter. Some of my friends who were new to the Faith could not take this sudden imposition. They even became cold towards the Faith and completely dropped out. Well I suppose those were the days of trial and error. After some time, the bachelors living in the bungalow broke up. But Muthusamy moved into Government Quarters in Jalan Kolam Ayer and this became the centre where we could gather. Those early days of my life in the Faith were very enjoyable and thrilling. Everything was a new and a learning experience. 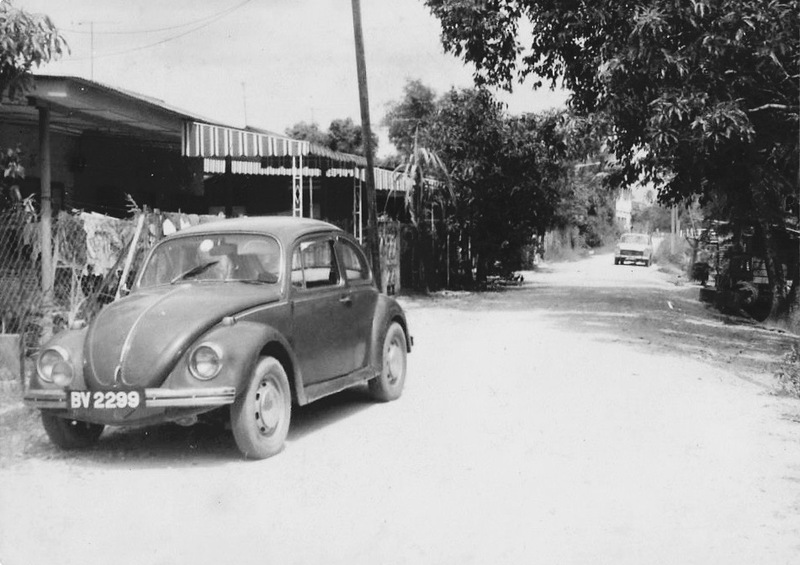 In 1963 I attended my first Summer School in Pantai Kundor Youth Hostel, Malacca. Some 50 Bahais from all over Malaya gathered there. 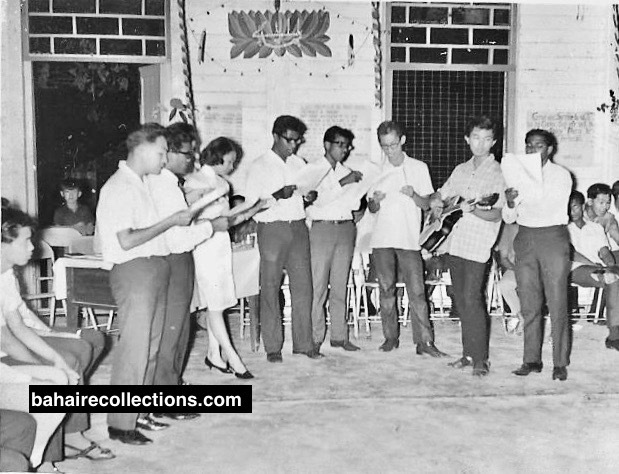 I caught sight of some of the early Bahais, such as the late Dr. Chellie Sundram and his wife the late Shantha Sundram, the late Tony Fernandez, Betty, S. Bhaskaran, S.Vasudevan, Raymond Peter, and the late Counselor Inbum Chinniah. I remember seeing some dental nurses who were Bahais. My first Summer School was one of the most wonderful experiences in my life. That was where I learned much about the Faith, true love and sincere fellowship. The Summer Schools are great institutions of the Faith, which the Guardian emphasized. Attending almost all these schools from the beginning of becoming a Bahai played an important part in vitalizing my belief in the Faith. Not only Summer Schools. I found attending all Bahai gatherings very important as the spirit at these gatherings was much inspiring. In most of these gatherings the same Bahais came again and again. Close bond was formed among them. The participants in the Summer Schools loved each other’s company so much that they wanted more of fellowship. They were usually torn between attending classes and socializing among them given the short duration. At times they would quietly skip classes and meet up in nearby stalls to have private chats and jokes. But this did not go unnoticed. When they re-entered the next session, the Principal of the Summer School would announce that the participants are not to skip classes. And wardens were appointed who would come around to ensure lights in the dormitories were switched off before midnight. But some would keep chatting till the wee hours. The following day some would skip their breakfast and arrive late to the classes. Those were the fun we missed. 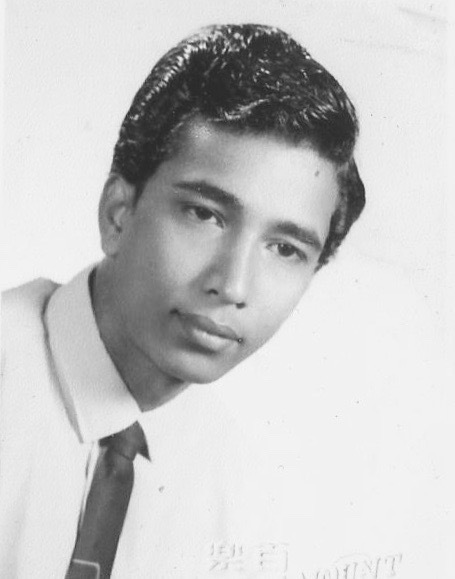 By the middle of 1963, Krishnan left Segamat and the activities were handled by the few Bahais left in Segamat. After my Senior Cambridge Examinations in 1963 at the age of 17, I left Segamat to stay in Gemas with my parents. In Gemas there was only one other Bahai – a clerk in the Malayan Railways. I was left without any contact or guidance. A path opened soon. I was successful in applying for a government job, and was posted to the Public Works Department in Kuala Pilah, Negeri Sembilan on 2 January 1965. As a government servant one would have to become a rolling stone transferring from place to place. Kuala Pilah was my first starting point, not knowing what my finishing line would be. While working in the Public Works Department in Kuala Pilah, I used to bring my prayer book to the office. One Indian office boy saw the prayer book and introduced himself as a Bahai. He further mentioned Mr. Sabapathy who was working in the Telecommunications Department in Kuala Pilah. Sabapathy had come from Seremban town to Kuala Pilah as a home front pioneer in 1962. He also mentioned Mr. Jamie Subramaniam or Jamie Maniam who was a Public Works Department staff member staying in the nearby Rompin town. These two valiant souls are no more with us. One day Jami Maniam came to my office, said “Hi” and disappeared just like that! Later Sabapathy came over to meet me and we had long discussions. 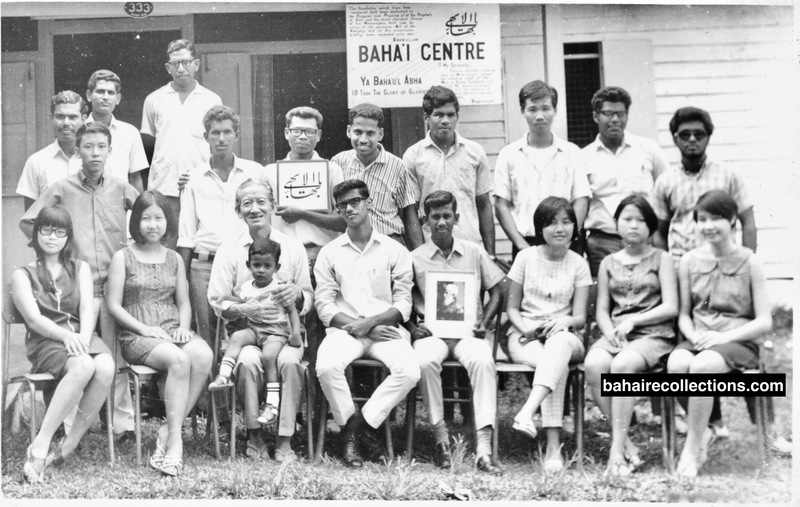 At that time the Bahai Community of Kuala Pilah which was new and small. The other Bahais in Kuala Pilah at that time were Narayanan, G.A. Naidu, Siva, Lingam, Kanapuran and “Body” Maniam. We were a small bunch of Bahais in Kuala Pilah, but we made history. Kuala Pilah was the only town I knew where Feasts were held in a restaurant known as “Malaysia Restaurant”. That was because we did not have a Bahai Centre. Later on, we held Feasts in the home of G.A. Naidu, in Sabapathy’s quarters as well as in the Public Works Department Sports Club. We used to teach the Faith individually to our acquaintances and friends. We were obsessed with teaching the Faith daily. Slowly there was an increase in the membership with the coming of Allan Chai and Sin Tok who went to Sabah and served there. Boloram from the Orissa community came into the Faith. Later the late Govindasamy, the late Karuppiah and Nagarajah and their late father Alagasari came into the Faith. We forged ahead with new enthusiasm. In those days the Bahais of Kuala Pilah town and Bahau town used to combine our activities. When Naw Ruz was organized, no less than 300 people used to attend. Sabapathy used to plan teaching trips around the Kuala Pilah area especially in the estates. Sabapathy was the live-wire and pillar of these activities. Jamie Maniam who was in Rompin had opened up several estates, and in each estate there were many Bahais. Later on G.A. Naidu, Nathesan and many others continued to assist Jamie in strengthening the Faith in this area. I remember visiting Bahais in Jeram Padang Estate, Batu Bersawah Division, and Ladang Geddes and in Bahau town. Those days there was a large Indian population in these estates who were simple and pure. And the Faith was literally absorbed by these simple people. Through Allan Chai, a whole lot of Chinese youths came into the Faith. As the community started to grow in strength, outstation Bahais came to assist us. The Bahai friends from Seremban like Aunty Lily Ng, Satanam, Jack Tan, Allan Tan, K. Rajah, Steven Manoharan used to come during the weekends to conduct firesides in the Club of the Malaysian Indian Congress, the Sports Club of the Public Works Department, and even in the hall of the Malaysian Chinese Association. In 1965, Mr. Hushmand Fatheazam, then a member of the Universal House of Justice visited the Bahau area. Before his visit, we went to see Jamie Maniam about this visit. He single-handedly went around on his Lambretta scooter informing the Bahais about his visit. A handful of them came to the visit by Hushmand Fatheazam in Ladang Geddes. The angry Jamie Maniam was fuming with madness, “If I go around telling them that a film show is to be screened in the estate, all would come in full force. But if I say an important person is coming, they could not be bothered.” Those who missed his talks truly missed much. And Jamie Maniam certainly had every reason to be furious! 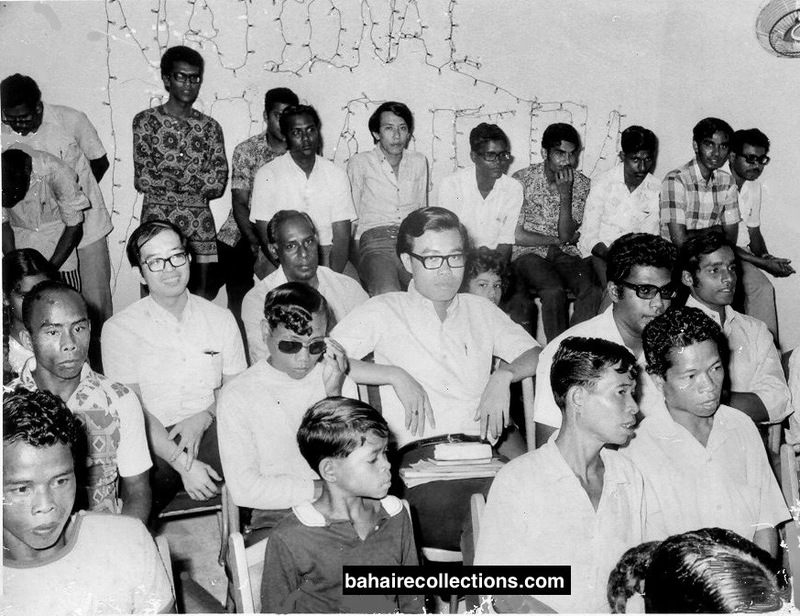 In 1968, Hand of the Cause of God Mr. A. Q. Faizi visited the Bahau and Kuala Pilah areas. When Mr. Faizi heard of the name of Bahau town, he said in jest that the name of the town contained half of the name of Bahaullah. In Kuala Pilah he gave a talk in Malaysian Indian Congress Club to Bahais and inquirers. Jeanne Frankel from USA was another great visitor to our community in 1968. Greater details are well written in the book “Jewel Among Nations” by Manisegaran. Such visitors were highly instrumental in strengthening the believers and thereby building the Faith in the early days, through the knowledge and inspiration they generated. The point is, Kuala Pilah was a place of interest to both local and foreign Bahai visitors. Kuala Pilah area was becoming very strong. But in 1967, G.A. Naidu moved from Kuala Pilah to Bahau, while Sabapathy left Kuala Pilah to pioneer to Laos. I was left alone with a handful of strong Bahais who carried on our regular activities such as Feasts, deepening and children’s classes. From 1967 to 1968, I rented a house and this was used as the Bahai Centre. We started extension teaching to the nearby estates. Soon many people had become Bahais. The whole area near the Bahai Centre became known as the “Bahai area”. In 1969, I was transferred to Seremban much to the agitation of the Kuala Pilah Bahais. But they managed to run the affairs of the community. When I came to Seremban, many Bahais had left for pioneering posts, some had transferred and some had migrated, leaving behind only a handful of Bahais who had to look after a whole big area. We had a good team of field workers like Isaac de Cruz, Pauline, Lily Ng, Vishunupatham, Lawrence Ng, Prasad, Mariappan, Jack Tan, K. Rajah, Munusamy, Krishnan, Yong Siew Kang, Tan Hui Chuan, Balakrishnan, Sooriakanthan, Ritchie Anand, Jegathesan, Ng Kan Hoe , Seetharam, Lee Teck Seng and Mrs. Yong. There were also the children of Mr. P.E Kumaran who were actively participating in Bahai activities. We used to visit several areas, meeting the Bahais and organizing activities and teaching inquirers. Earlier the Seremban Bahais had opened up these areas and we had only to gather everyone for feasts, deepening, and elections. But consolidating these areas was not easy. We also managed to receive home front pioneers from Kedah state such as T. Maniam, followed by the late Arul Sivanathan and a few others. Every year if a batch of Bahai youths left, a new group would fill in and this kept on going on for years because of the amount of teaching by these youths. The Area Teaching Committee(ATC) of Negeri Sembilan was based in Seremban whose Secretary was Lily Ng. The ATC was doing its best to stimulate teaching and consolidation work. The other members who I remember were Satanam, Isaac de Cruz, Rama Naidu, G.A. Naidu, and a few others, including myself. Later on I was elected as Secretary of this committee. Seremban was one of the communities known for engaging in intensive teaching and bringing in results. In the 1960s right up to early 1970s there used to be small and large scale teaching conferences held all over the country. Seremban was also active in hosting such conferences. The programs were mainly to boost the spirit of the participants to go for field teaching. And the field teaching trips yielded results in leaps and bounds. Negeri Sembilan had many Bahais employed in rubber plantations. Seremban was the mother assembly of Negeri Sembilan and it had to look after not less than 12 estates-based Local Spiritual Assemblies. Seremban was the place where I really got into the teaching field with vigor. Our teaching trips were at the rate of 3-4 times a week. No area was left untouched. As far as I can remember the areas were New Seremban Estate, Perhentian Tinggi Estate, Sungei Gadut Estate, Ulu Pedas Estate, Chembong Estate, Kirby Estate, Batu Dua Sebelas Estate, Batu Hampar Estate, Pasla Estate, Labu Estate, Labu Cheviot Estate, Nilai Town, Kubang Estate, Jendiram Estate, Bute Estate , Trentang Estate, Rantau Town, and Rantau Linggi Estate. We also visited Rembau town and Tampin town. Aunty Lily Ng was the pillar of these teaching activities. At every meeting she would place emphasis on teaching the Faith and on attaining the goals. She never rested a moment, but was thinking of only teaching the Faith at all times. Every Sunday she used to conduct children’s classes and deepening classes for the youth. After that these youths would be sent out for teaching. The Faith spread faster in the estates. There was a tendency to believe that the estate workers were not highly educated and so they would not understand the message. On the contrary, these were the very people who were touched by the teachings. Amatul Baha, in her visit to Malaya in 1961 had said that the Faith would be easily accepted by the simple people in the rural areas who are not polluted by the materialism in the urban life. True enough, many of these estates in Negeri Sembilan had produced some very strong believers. 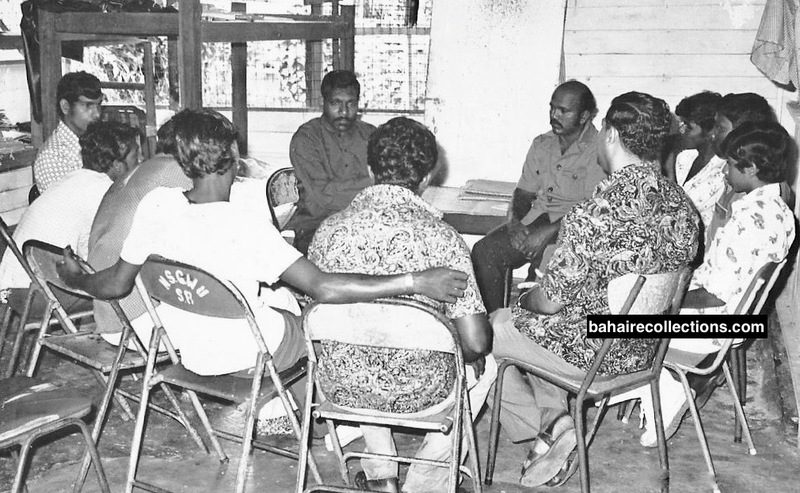 In the 1970s fragmentation of the rubber estates took place by which the large estates were broken up into small units and in that process, the estate population, including the Bahais, moved to urban areas in search of livelihood. Because of that, we lost a lot of the Bahai population. And the names of these estates remain in history alone. They have given way to development. I was on the State Teaching Committee in Negeri Sembilan and my duty was to encourage as many as possible to attend the electrifying Oceanic Conference of the South China Seas, held in Singapore from January 1 to 3, 1971. G. A. Naidu of Bahau town chartered a bus and I was one of those who traveled in that bus. At the Oceanic Conference, I was serving as Information Officer under Yin Hong Shuen who was the Chief information officer. With this duty that I performed I was able to meet Hands of the Cause Enoch Olinga and Collis Featherstone in person. After the conference was over we started our return journey. At Air Itam town in the southern state of Johor bordering Singapore, a sudden rise of flood waters covered the tyres of the bus. To avoid being caught in the flood the bus driver took an unusual route and reached Negeri Sembilan. It was still raining. Around 2 in the morning the bus dropped the Bahais in Kuala Pilah town and proceeded to Bahau. As the bus was heading towards Bahau, suddenly a giant tree fell a few feet in front of the bus. The driver immediately swerved and the bus went off the road and almost went down the ravine. All of us shouted the name of Bahaullah. As the bus came to a sudden stop we were surprised to see ourselves still alive! We came out of the bus and were completely drenched under the heavy rain. We all – men and women tried to push the bus back to the main road, but in vain. We were praying in our hearts. Suddenly out of nowhere, a Public Works Department towing lorry came along – imagine at 2 in the morning. I stopped the lorry for help. Since I was working in the Public Works Department the driver recognized me and came to help. Using the lorry’s wrench he pulled the bus back to the road. We went home fully drenched. The question still remains- how did the driver swerve so fast to save the bus? I quietly asked him how he did it. He drew blank. The next question- what was the Public Works Department lorry doing there at 2 in the morning. A few days later I asked him over the phone. He told me he just had a feeling to check things on that particular road. These are two unanswered questions. I knew the answer deep in my heart. Your guess is my guess! The best of my days were when I was on the Asli Teaching Committee. I was appointed to this Committee in 1967, when I was still in Kuala Pilah. 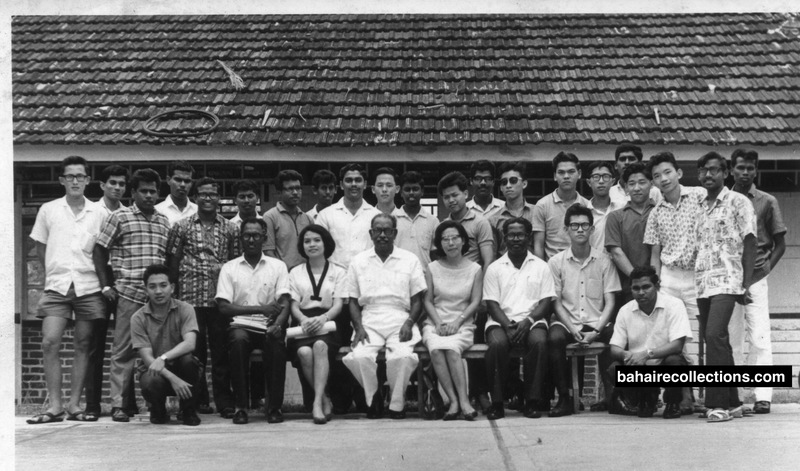 From 1971 the National Asli Teaching Committee was transferred and operating from Seremban. I was the longest serving Secretary of this Committee. I can remember many of those who had gone into the jungles for Asli teaching in Perak during different periods. They were, among others, Isaac D’ Cruz, the late S. Satanam, Kanagaratnam, Vishunupatham, the late Mrs. Gibson from USA, the late Rama Naidu, G.A. 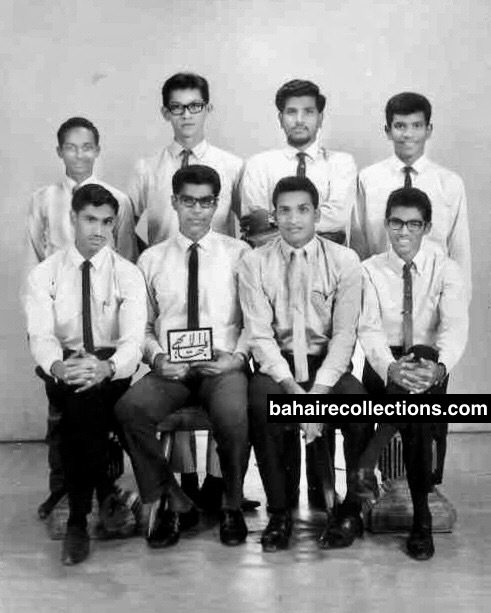 Naidu, Audi Singam, Seetharaman, the late Sri Krishnan, Bhaskaran of Trolak,the late “Big Eye” Maniam, the late Selvarajah, Machamboo, and Muthiah and Guriyah from Kedah. National Asli Teaching Committee based in Seremban. L-R Lily Ng, Rama Naidu, Nagendran, Isaac d Cruz, G.A. Naidu, Yong Siew Kang, S. Satanam, Tan Hui Chuan and Lawrance Ng. In the period 1967 to 1971 the veteran Asli teachers from Seremban area used to enter the Perak and Pahang jungles once in a few months. But I could join them only for short trips. 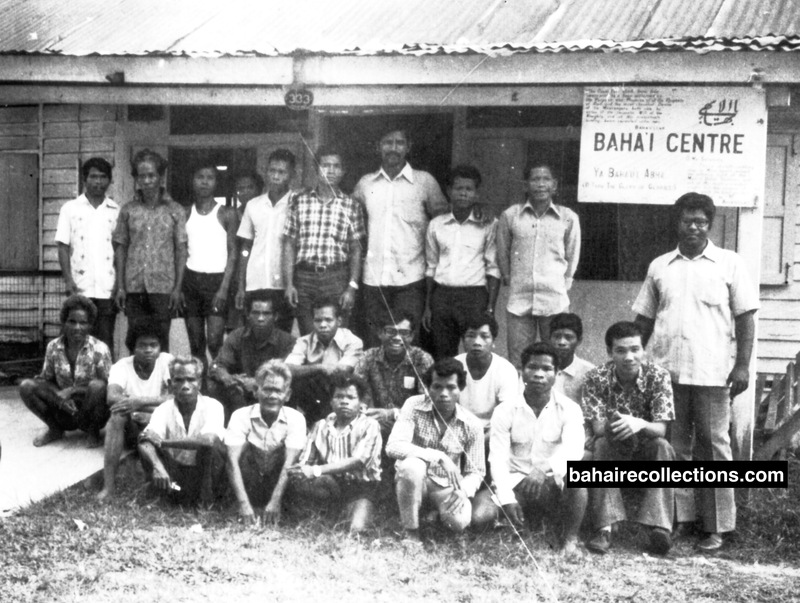 Most of the Asli Bahais were from the Semai tribes in Perak and Pahang. We used to drive to the fringe villages like Kampong Bersih, Kampong Chang and from there we would walk to the other villages. Some of the villages I remember are Kampong Jentong, Kampong Jernang and Kampong Ras. The Asli guides who were leading us, as usual told us that the villages were nearby. After walking for a few hours, the village was nowhere in sight. Upon reaching the top of a hill, he would say it was not too far, and after reaching the next hill, he would say we were almost near the village. These Aslis were excellent jungle walkers and for them the concept of distance and time was simple. Although I had undertaken several trips to the jungle, in one of the trips, after some time of climbing, I felt as though my heart was about to burst. I told the others to keep on walking while I would go back and wait at the Kuala Senta village at the bottom of the hills. Of course, I prayed for the rest to have a successful trip. I remained in the village on the bottom of the mountain waiting for the others to return. I must admit it was not easy task. I remember Isaac narrating to me, how on one of these trips they lost their way for several days and were on the verge of starvation, but fortunately they were able to find their way back. These Bahai teachers used to go miles, visiting one village after another, crossing the mountain of the main range (Titiwangsa) starting at dawn and reaching the villages in the evening. They would straight away go to sleep and only on the next day gather the villagers and have deepening and consultation with them. The wonderful thing about these Aslis is that they would welcome the Bahais with open arms and would give the best food and pamper them with food from morning to night, their own way of showing hospitality. During the durian season the Asli friends would feed us with durian for breakfast, lunch, dinner, tea and supper. Meetings were held with the headman and all the villagers during the night followed by traditional songs and dances. This sometimes would go on late into the night with both the Aslis and us not wanting to part with each other. I remember on one trip we made to Kampong Jentong in Perak. The Penghulu (Chief) who had the gift of the gab kept on talking all through the night that Satanam who was consulting with him dozed off, sitting right in the midst of consultation and we had to take over from him. On all these trips into the deep jungles we definitely were protected by God in as much we did not face any real danger either from man or animals. When the National Asli Teaching Committee was transferred to Seremban in 1971 a decision was made to bring the potential Asli travel teachers to Seremban for training after which they were sent off for teaching among themselves for a short period time, with payment of allowances. These areas were in Perak and Pahang. The training courses were held on a regular basis and lasted for several days. When the participants had finished their course, we would tell them the dates of the next course and to send new Bahais to attend the course. In most cases the same participants would come back, out of enthusiasm. Bahais who mostly helped out during the course were Aunty Lily Ng, Isaac de Cruz, Lawrence Ng, Satanam , Seetharaman, and Yong Siew Kang. The food for the participants was very lovingly prepared by Pauline. Initially, Jenny was our administrative assistant then she was followed by Ng Kan Ho. Asli friends at a National Convention. Rama Naidu, Kanagaratnam, Selvarajah, Philip Ng, T. Suppayah, V.K. Bani and G. A. Naidu are at the back. In the middle are Jeffrey Koh, S.L. Thevar, Lee Wai Kok, myself and Ramu Naidu. The Aslis had to sacrifice a lot to attend the courses. They had to walk several days in the jungle until they reached the nearest town, take a bus and travel down to Seremban. They had to save money for the bus trips and food. During conferences and courses we used to raise funds. All the Bahais would contribute. But after that, a few of them would come round say, “Brother, I have no money for my bus fare! I have contributed whatever I had for the funds”. Those were the touching moments. The years that I served in the Asli Committee were the best years of my life. An Asli training in Seremban Bahai Center. Standing tall in the centre is T. Maniam. I am standing to the extreme right, with Lawrence Ng sitting next to me. In 1978 I was transferred from Seremban to Pontian in Johor. This posting was a blessing for me as I could now serve in the vast state of Johor that was still relatively virgin to the Faith and needed much manpower. Even while I was in Seremban between the years 1969 to 1977, I used to travel teach with Satanam , Seetharam, Chua Teck Min, Wong Ah Loong and others to almost all towns in Johor, making regular visits to places like Tangkak, Muar and Batu Pahat. These were big towns that needed help. I managed to gather these Bahais, namely, the Pandian (Sangrapandian) brothers and their families, Andy, Kong Fu, Koothady Thever, his wife and sister, Krishnan (Tenaga Nasional Berhad). With them I started Feasts, Naw Ruz, deepening classes, and children’s classes. I also managed to enroll some new Bahais. Some youths from Johor Baru used to visit and help out in the activities. 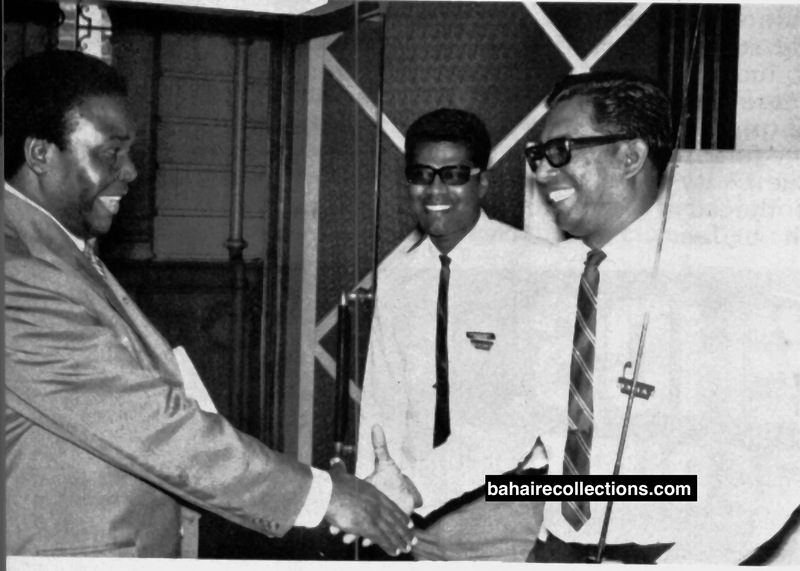 They were Asokan, Ganesan, Wong Maniam, Jega who was working in Singapore, Raja Manickam and a few others. Kluang was my birthplace. During weekends, Beng Siew and I used to drive up to Kluang to teach and look out for existing Bahais. But later we contacted one Gopalakrishnan, who had accepted the faith in Sarawak and was working in the Kluang military camp. He quickly introduced us to some of his contacts in the estates. We contacted Segeran and Ramachandran who were both in the air Force. We contacted them and initiated several Bahai activities in the home of Ramachandran. There was also an old Chinese Bahai. When he passed away we conducted his funeral with assistance of Melaka Bahais. After some time Segeran was transferred to Kuala Lumpur. In the meantime the Bahai population of Kluang slowly increased. There was Rajan (Pioneer to Africa), his brothers Moorthy and Balu, Krishnan, Kandiah, Yong from Segamat and many others. In the meantime Beng Siew was transferred to Johor Baru. We also had an active Bahai from Patani Para, Kedah, and Nagalingam in CEP Rengam Estate in Simpang Rengam, Johor. Later on, Giam Chin Chye was transferred from Seremban to Kluang. He was an active pillar of the Faith. He got hold of a motor-bike for the Bahais to do teaching work in the estates. All these areas were under the jurisdiction of the State Teaching Committee of Johor. As far as I can remember, the members of the Committee at that time were Asokan of Johor Baru, the late Paidithalli of Kulai, G. Maniam of Pasir Gudang, and Tan Keat Fong of Johor Baru. Later Muthusamy of Batu Pahat, Narasiah of Kulai and I were appointed to the Committee. Through the efforts of Local Spiritual Assembly of Kulai, especially Narasiah and the State Teaching Committee, a Bahai center was bought in Kulai. These are some of my recollections when I was in Johor between the years 1978 to 1980. In 1981, after getting married, I was transferred to Kuala Lumpur. My wife was my strongest supporter in my post married life. In Kuala Lumpur I was appointed into several committees. I was once again appointed to the Asli Committee as Secretary. I was also appointed to the National Teaching Committee and elected to Local Spiritual Assembly of Kuala Lumpur as the Secretary for a few years. I was also appointed to the State Teaching Committee of Selangor and the National Tamil Teaching Committee for several years, and served as an Executive Officer in the office of the National Spiritual Assembly from the year 2002 onwards for several years. I also served in the National External Affairs Committee for several years. Although my Bahai life in Kuala Lumpur was serving on committees, but my personal passion remained teaching which still goes on. With friends like Karthigeyan, Manisegaran, Dr. Khang, the late Muniandy of Shah Alam, Ramasamy and Lum Weng Hup, I used to go for extension teaching each weekend to several areas of the states of Selangor, Pahang and South Perak, often returning past midnight. Now I am a member of the Bahai Community of Kuala Lumpur. In retrospect, I can see a few paths that strengthened me in the Faith. I was a book worm and had my hands on almost all the latest arrivals on the Bahai bookshelf. I used to take leave from work to read the books. The conferences, especially the summer schools and teaching conferences generated so much spirit. I took a special liking for the talks and advice given by the Hands of teh Cause of God whom I met during their visits to Malaysia. Among those I met were Tarazullah Samandari, Dr. Muhajir, Collis Featherstone, A.Q. Faizi and Enoch Olinga. I was lucky to have been well-guided by some elders within Malaysia such as Inbum Chinniah, Leong Tat Chee, S.L. Thevar and Yankeee Leong. From the time I came into the Faith in 1962, I had seen the growth and development of the Faith, witnessing some crisis and victory as well. As I look back I think of the hundreds of Bahai friends I had won in more than half a century as a Bahai. And many of them are no more with me now. I am also not able to recollect each phase in my Bahai life, and so this is not my exhaustive story. I started my career in government service with an average salary. My colleagues gave me earthly advice not to spend my time and effort in the Faith but to concentrate on building a good future for myself. But my priority was always the Faith and there was an assurance deep in my heart- if we take care of God’s Cause, God would take care of our cause. And Bahaullah never failed me in this!